My name is Lairen Hall. I was born and raised in Salem, AR. I graduated Salem High School in 2007. After graduation I attended Arkansas State University where I earned my bachelors degree in education. I am now working on my masters in education. This is my fifth year to teach at ICC. I have two beautiful nieces that I absolutely adore. I enjoy going to rodeos in my spare time. 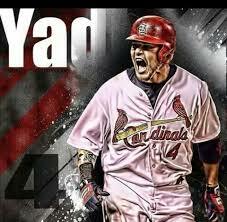 I am a HUGE St. Louis Cardinals fan!! I look forward to meeting my students and parents. I'm ready to have a wonderful year!